In anticipation of his European tour, Gabriel Saloman has released Live in Geneva (28 November, 2009), a live album recorded at a 2014 performance at Cave 12 in Geneva. The album features live interpretations of recently released songs including Ear Piercer and Mountain Music from last year’s Shelter Press release Movement Building Vol. 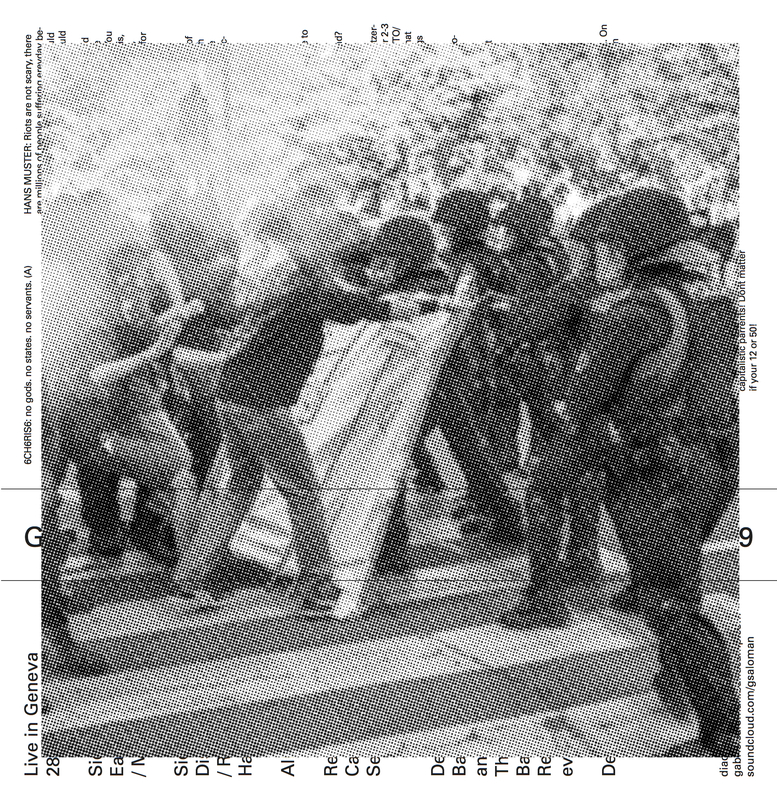 2, as well as a powerful revision of Riots Don’t Just Happen from the Infinite Greyscale 10”. The album was released May 1, 2016 and is available for streaming and purchase at Saloman’s Bandcamp page. A limited edition print with artwork by Saloman and Shelter Press’ Bartolomé Sanson featuring a download code will be available for sale at Saloman’s upcoming shows in Europe.